CVD graphene grown on Cu or Ni film coated Si wafers or flexible Cu foil substrates is a promising starting material for many novel product developments efforts. Small scale CVD graphene production has traditionally been accomplished in CVD tube furnace systems. 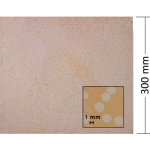 Such systems allow for a limited production volume as a result of the size constraints of the substrates that can fit inside the process chambers. Therefore, when it comes to scale up, the general thinking is that one needs to go to a roll to roll or in-line CVD methodology (depending if the substrate is flexible or not) to be able to mass produce CVD graphene films. Given that any CVD roll to roll systems in general are designed for a specific process, only a very limited process window is available. It is also important to note that roll to roll process equipment is very specialized, resulting in higher capital equipment costs, as compared to traditional CVD tools. Therefore, scaling up CVD graphene processes developed with traditional CVD tools from R&D to production levels can become expensive, time consuming and risky, thus delaying the commercialization efforts of CVD graphene. We present here further updates on an alternative, patent pending, CVD graphene volume production technology platform1-4 that is compatible with most CVD tube furnace systems. Different implementation levels of this technology will become available in the near future as customized options for our EasyTube™ systems (see Fig 1). In other words, nearly all CVD graphene process innovations that are typically being developed for tube furnace systems can now also be scaled up, cost effectively, for volume production. For example, Fig. 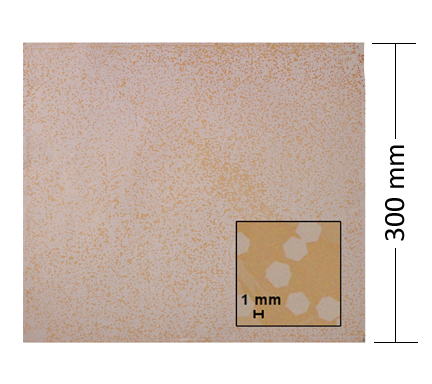 2 shows the scale up of uniform mm-sized CVDgraphene island growth to a 300 mm square Cu foil substrate. An additional 5 to 10X capacity increase per batch is possible with further customized tooling hardware, enabling the simultaneous processing of multiple substrates in one batch. These different tooling customization options can therefore significantly decrease the cost of CVD graphene processing of wafer or Cu foil substrates and thus enable volume scale up of graphene-based electronic devices and sensors. 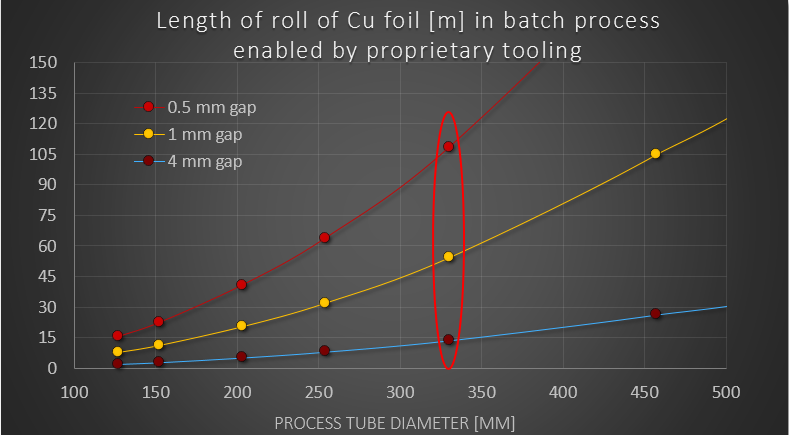 A different implementation of the technology3 enables the processing of a continuous roll of a Cu foil in a batch process tube furnace system, i.e. without the need to transition to a roll to roll CVD processing system. 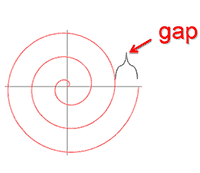 In particular, custom tooling enables the batch processing of a roll of Cu foil in an Archimedes spiral wound shape (Fig. 3). Fig. 4 shows the production volume increase that is potentially achievable for different size process tubes. We estimate that with our alternative volume production approach a 5-9X throughput increase is possible compared to a roll to roll system occupying a similar floor space, and that the respective chemical consumption is reduced by > 50%. The capital equipment cost is 2-3X lower, thus overall leading to a potentially > 10X decrease in cost per area of CVD graphene on Cu foil. CVD graphene volume production scale-up becomes now more straight forward, less costly and less risky as there is no longer a requirement for a major change in equipment platform. Different routes to low-cost high-volume production of CVD graphene will be presented and discussed: one for multiple smaller substrates and one for a long flexible substrate. We will attempt to show how this novel CVD graphene process technology, while operated in a batch processing mode, has the potential to outperform roll to roll CVD systems in throughput and cost, thereby enabling the acceleration of the commercialization CVDgraphene. 1Karlheinz Strobl, Mathieu Monville, Riju Singhal, Samuel Wright, “Novel Tooling for Scaling of High Quality CVD Graphene Production”, MRS Spring 2014. 2Karlheinz Strobl, Mathieu Monville, Riju Singhal, Samuel Wright, and Leonard Rosenbaum, “Low-Cost, High-Volume Scale-Up of CVD graphene on Cu Foil”, Graphene 2014. 3Karlheinz Strobl, Mathieu Monville, Riju Singhal, Samuel Wright, and Leonard Rosenbaum, “Low-Cost, High-Volume Scale-Up of CVD Films and Nano-Structured Materials”, Invited Talk, TechConnect World 2014. 4Scalable 2D-FILM CVD Synthesis, patent pending.